Researchers have been searching for the holy grail of untapped renewable energy resources. Deep Green, an underwater kite that generates electricity from tidal currents, is creating a name for itself in terms of technological advancements. A world-leading marine energy developer called Minesto, created the revolutionary bold idea of Deep Green. Each Underwater Kite will be designed to produce up to 1.6 gigawatt hours of electricity per year. Minesto is a driving force in the nascent global industry of tidal energy. The company operates in Wales, Northern Ireland, and Sweden. Deep Green operates by sweeping a turbine across a big area at a fast speed. The underwater kite is unlike other tidal energy technologies because of its wings, the measurement of the turbine, and the idea that it is flying under water. Deep Green consists of a wing, turbine, nacelle, rudder, struts, and tether. 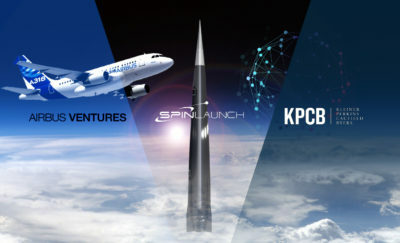 Also according to Euro News the kite is outfitted with a bevy of communication tools and sensors. Strong materials and a fully hydrodynamic design allow the underwater kite to travel with tidal flows at different speeds. The energy of the tide causes the rotors to spin, converting that tidal energy into useable electric power. Holyhead Deep, located west of Anglesey, North Wales, has been chosen as a location for a commercial Deep Green installation. The site matches all the requirements, such as having low-flow tidal velocities at a depth of 80-100 meters. If the deployment and testing are successful, more Deep Green devices will be installed and the location will be expanded into a 10MW tidal energy array. Deep Green is an innovation with competitive advantages. 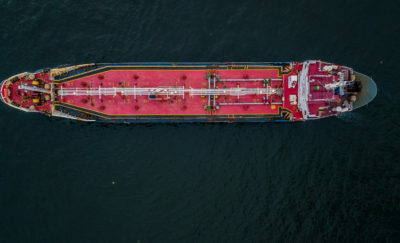 It is submerged at least 20 meters below the surface of the water, creating a minimal impact on the environment and shipping. 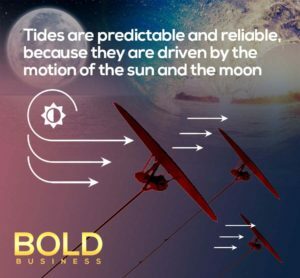 Its electricity production is predictable because tides are triggered by the relative motion of the Earth, moon, and sun, which can be anticipated with almost 100% accuracy. The offshore operations of Depp Green are also low-cost. Now, scientists and researchers are using different tests to further enhance the technology. The goal is to make and install much bigger kites with spans of 12 meters. Each Underwater Kite will be designed to produce up to 1.6-gigawatt hours of electricity per year. Scientists are also building a sonar platform feature in order to locate the passage of marine animals to learn how they interact with the kite. Motherboard mentioned that Japan has also developed underwater kites in order to harness the power of ocean currents. It was reported that the New Energy and Industrial Technology Development Organization (NEDO) of Japan were keen to pursue its ocean energy prospects. Deep Green has already come a long way, making a bold impact by developing a new renewable energy resource. It is a technological wave that researchers have been exploring for years. Now, Deep Green has launched it will continue to develop, this technology introducing a potentially important new innovation to society.